Married To Chocolate: Meet the Great Chocolate Giveaway Winners! 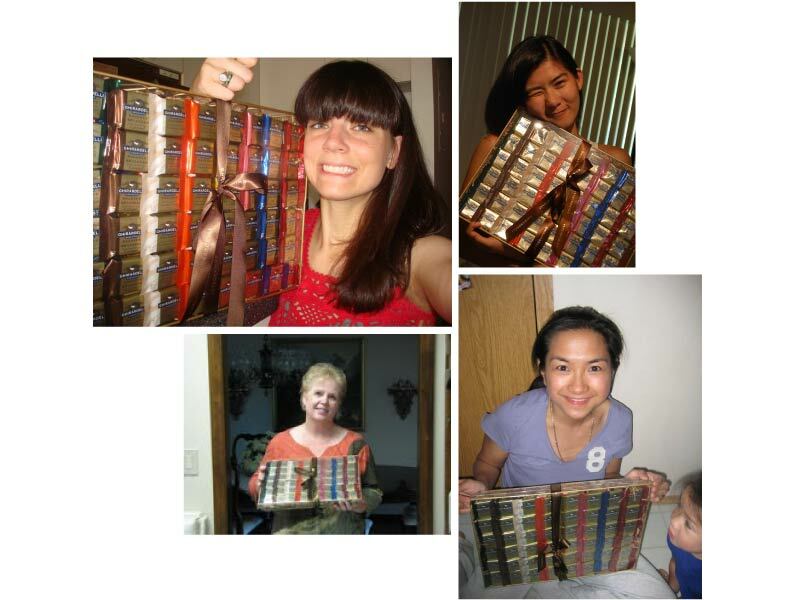 Meet the Great Chocolate Giveaway Winners! Life is sweeter for four people today. Congratulations Adrienne, Carren, Charlie, and Denise! To celebrate Married to Chocolate's big fat anniversary last month, Ghirardelli and I gave away four big fat baskets of chocolate to whoever answered one of life's toughest questions best: Why do you deserve free chocolate? Check out the winning entries in this post! Here's a big THANK YOU to Ghirardelli for sponsoring the Great Chocolate Giveaway and here's a bigger THANK YOU to everyone who joined! I had a blast celebrating the anniversary with you guys. Keep coming back, you hear? It's going to be an exciting year. To the international entries (Hey Manila! ), due to shipping constraints, I'm really sorry I couldn't let you guys win. I will make it up to you somehow!